Hope you have your sweet tooth ready today. 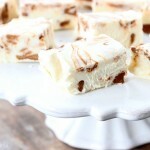 Because I’m bringing on the cinnamon roll action in a sweet square piece of fudge! 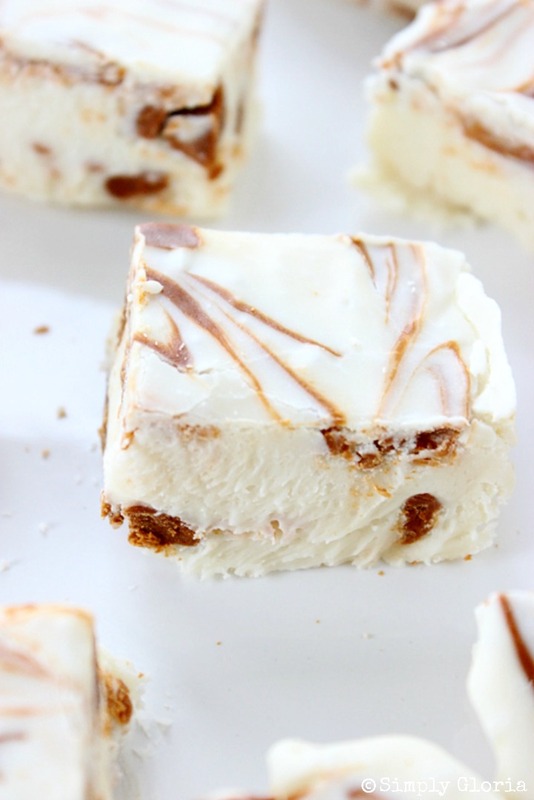 This Cinnamon Roll Fudge is a smooth and creamy texture with the combination of cinnamon and white chocolate swirling around. If you were to ask me what my favorite dessert was to make, it’d be cinnamon rolls all the way. 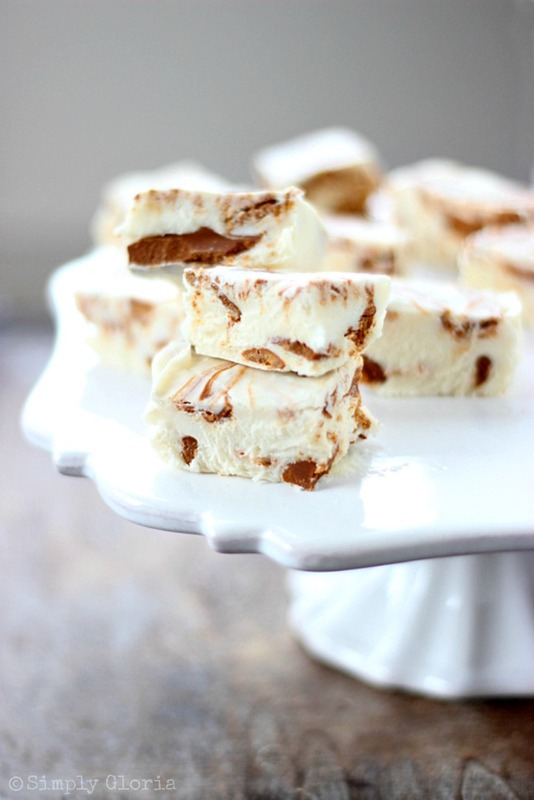 But, fudge is also my favorite thing to whip up in the kitchen. 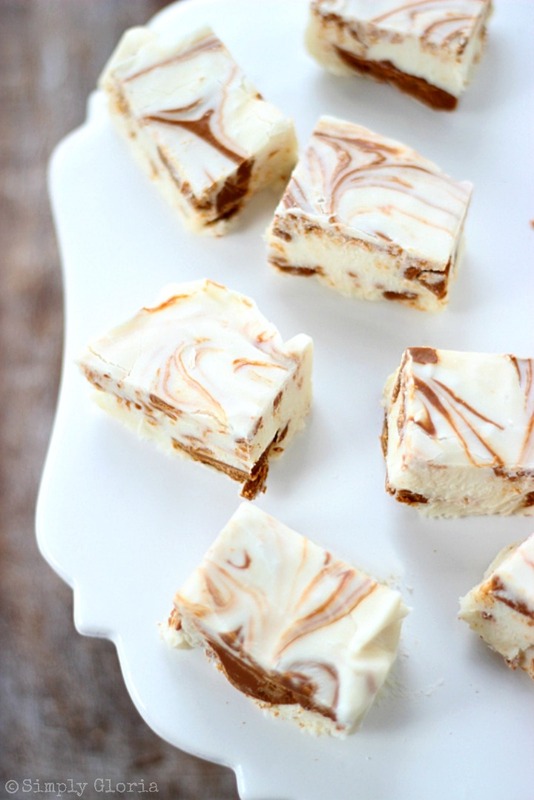 Fudge is something that can be made on a whim. There’s no oven to preheat. And, it comes together fast! 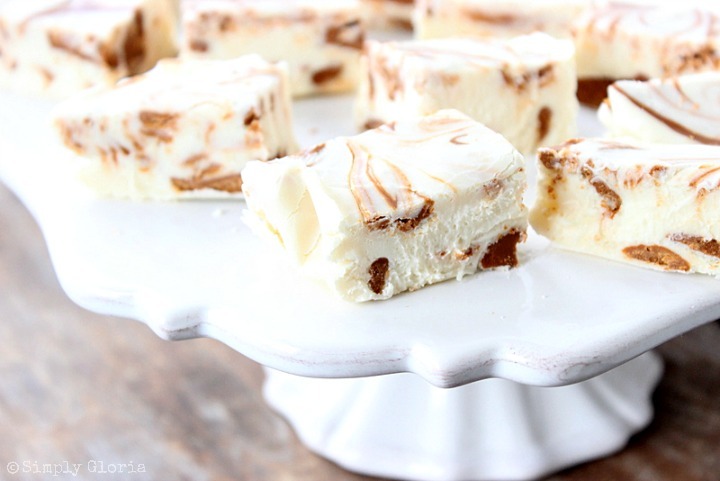 Creamy… decadent… smooth Cinnamon Roll Fudge. Literally melts in your mouth! Pour over marshmallows and white chocolate. Stir until all combined and the chocolate chips and marshmallows are melted. May be stored at room temperature for up to 5 days in a closed container. Enjoy! Fudge season never ends… it’s an all year kind of thing! This fudge looks wonderful, Gloria! 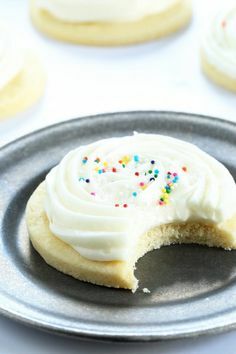 I love easy homemade fudges. Pinning! Girl, don’t even. You know my fondness for Cinnamon rolls!! This is genius… my jeans my not like it but I sure do :)!!! So I’ll send you my address so I can get a tin full of this! 🙂 Just kidding, but seriously it looks amazing! Where do you find cinnamon chips? I live in Canada and I have never seen them. 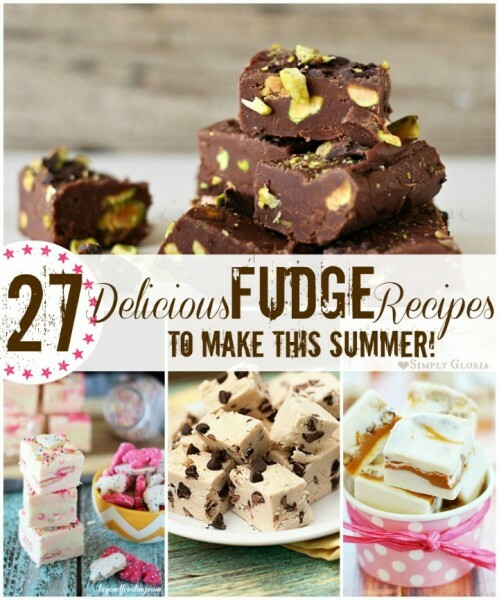 The fudge looks delicious and I would love to make it. Hi! Mine turned out slightly sticky, but just on the bottom. Even after refrigeration all night. Any idea how I can correct this? Did I not cook the milk / sugar etc long enough? The texture will still be on the soft side and not completely hard. Hope you enjoy!